Following Tropical Cyclone (TC) Gita in February 2018, MORDI Tonga Trust, CARE Australia and Live & Learn Environmental Education came together to deliver emergency aid and recovery support to the most vulnerable people across Tonga’s Tongatapu and ‘Eua islands. 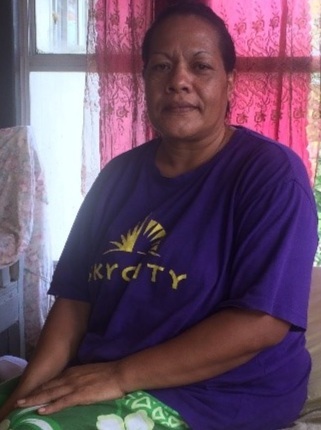 With funding received from the Australian Government via the Australian Humanitarian Partnership as well as other donors*, the three agencies focused on getting support to some of the island nation’s most vulnerable via the Alonga Disability Centre and the Loto’fua Fksamaletani Elderly Centre in the capital, Nuku’alofa. They provided food supplies to the two centres and, in addition to the provision of immediate supplies, seedlings were planted in the MORDI nursery so that they could later be harvest and distributed to these centres. The Alonga Disability Centre was established in July 1991 by the late Queen Mother of Tonga. The Centre houses between 20-25 clients at any given time and provides free 24-hour care. While some government funds support the Centre’s operations, it is largely funded through community contributions. They provide food, accommodation and activities such as handicrafts, sports and games for their clients. Some of their clients have families and some do not. For those who have a family, they are unable to care for them as they are either at work, school or their home is not disability accessible. During TC Gita, the Centre suffered damage to its roof and its surrounding property. With the support of local hardware suppliers and Australian volunteers, the roof was repaired and fallen trees cleared. MORDI provided weekly distributions of vegetables to the Centre during the months of July and August 2018. Alonga Disability Centre Manager, Oliveti Fungani, explained the importance of this support. “It was good because sometimes we cannot afford vegetables. Our clients were very happy. They felt happy because they could see that others were caring for them and bringing help. Thank you very much for the love and care from Australia and I hope the support doesn’t end,” Oliveti said. The Loto’fua Fksamaletani Elderly Centre was opened in 2012 and houses six elderly people. Clients pay TOP $200 per month to stay at the Centre which covers meals, accommodation and activities. Some, but not all, of the elderly clients have family that visit. Loto’fua Fksamaletani Elderly Centre, Felekape Pthahulu, reported that the food distribution was incredibly important and a big help. “We are very thankful and appreciate the support,” Felekape said. MORDI plans to continue supporting both centres, potentially establishing gardening plots at the centres themselves. This will ensure centres can grow their own produce while also providing an outdoor activity for clients. MORDI Tonga Trust, CARE Australia and Live & Learn Environmental Education would like to thank the following donors for their support for the TC Gita response program. *Funding for this activity was also received via the START Network. The New Zealand Ministry of Foreign Affairs and Trade, the European Union, UNICEF, Volunteer Services Abroad (New Zealand) and Rotary International.